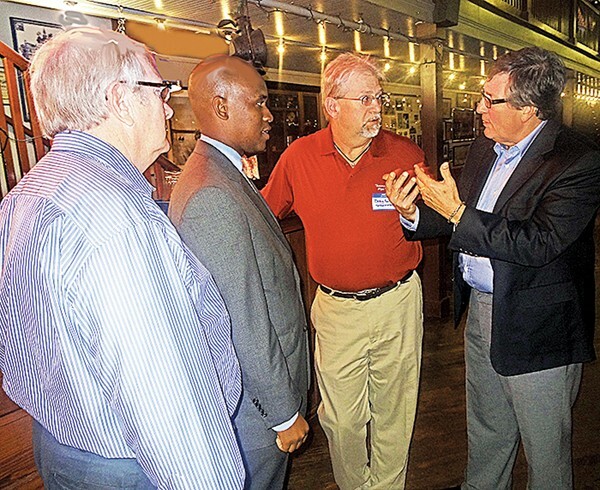 Hitting the Stretch: State representative Craig Fitzhugh (far right) of Ripley, the Democrats’ House leader and candidate for reelection, discussed strategy with Memphis Democrats Ed Smith, Van Turner, and Bobby Sproles at a recent fundraiser. Smith and Sproles are union officials; Turner is local Democratic chairman. Case of the "Torn Will"